The Expected cost of Apple iPhone SE 2 is Rs. 29990. The launch Date of the second phone is November, 2018. The cost of Xiaomi Redmi Note 6 Pro is Rs. 11999. Xiaomi Redmi Note 6 Pro's larger 4 GB RAM is better for playing games and all with respect to Apple iPhone SE 2's lower 2 GB RAM. Xiaomi Redmi Note 6 Pro has more Internal Memory (64 GB) than Apple iPhone SE 2 (32 GB). Both of the devices have Memory Card Slot. Apple iPhone SE 2 has 12 MP Rear Camera in comparison to Xiaomi Redmi Note 6 Pro's 12 MP + 5 MP Dual Rear Camera. Xiaomi Redmi Note 6 Pro will be better choice if you're looking to click lot of selfies as it has better 20 MP + 2 MP Dual Front Camera in comparision to Apple iPhone SE 2's 1.2 MP Front Camera. 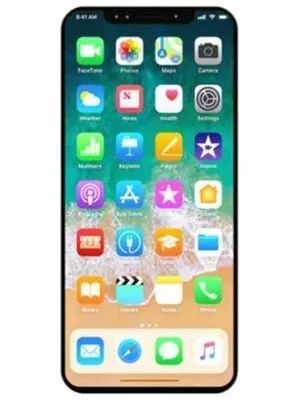 Apple iPhone SE 2 has version 10 iOS Operating System where as Xiaomi Redmi Note 6 Pro has version v8.1 Android Operating System.